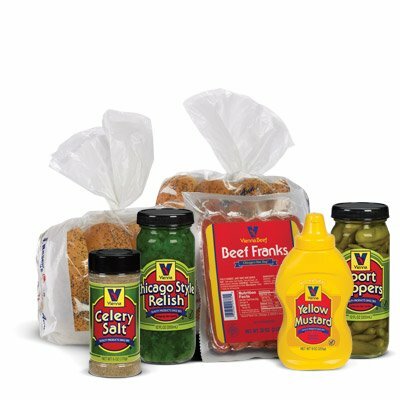 Our famous premium beef franks, topped the traditional Chicago way with all of the authentic stuff. Add your own tomato, onions, and pickle spears for the complete experience. If you have any questions about this product by Vienna Beef, contact us by completing and submitting the form below. If you are looking for a specif part number, please include it with your message.